Just wanted to report that we are here at Foxy & Winston are safe and sound. We have no power, and cannot anticipate when it will be back, so please be patient with us as we get situated. The shop and studio were very fortunate to escape relatively unscathed. The same cannot be said for some of our neighbors and our hearts and thoughts go out to them. Red Hook is a very small and close community and when one of neighbors is down, we all are. 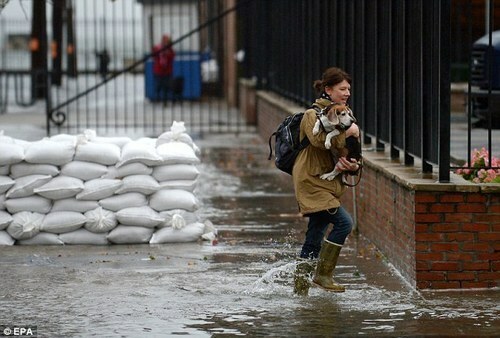 Please send all your best wishes to those in Red Hook who were badly affected by this storm. In the mean time, here is Jane escaping with Hope on Monday morning!